Bicycle Interests, All Types Welcome! I have noticed many SMB forum members have bicycle interests. Makes sense. Bikes are great transportation and great recreational vehicles.You can go somewhere on a bicycle vs more limited distances on foot (exceptions of course!). Great for fitness too. They lend well to van travel as room can be made to bring them along. I grew up on bicycles, and I still ride bicycles, as many of you no doubt. So lets discuss, share, learn and link about bicycles. That title lended more towards fatbikes maybe, and I hope we can discuss bikes of all sorts... Mountain (& various disciplines), road, pedal assist, gravel grinders, tandems, fat bikes, classic or collector bikes, race bikes, commuters, and more. Whew. 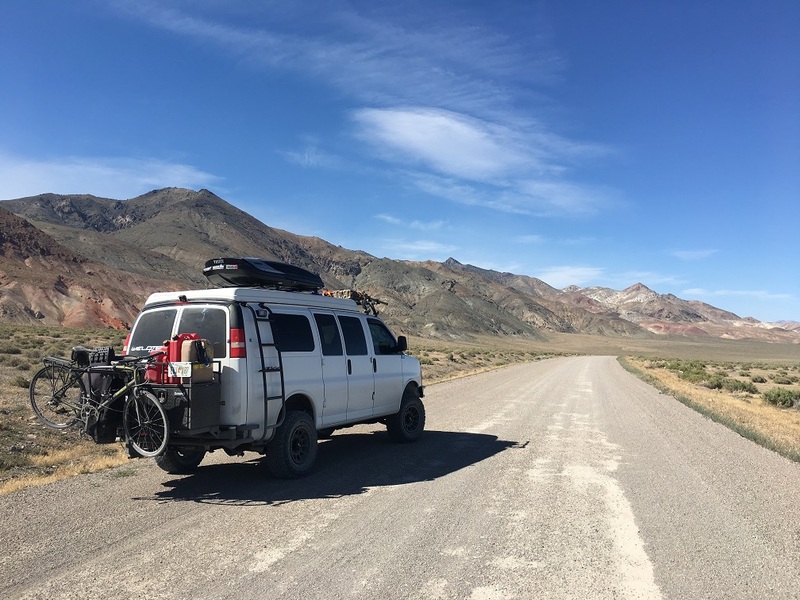 Lets hear your interests and how and if cycling fits into your travels in your whatever kind of van. ...How you haul it. Does your significant other join in? I have various bicycles and will share here. A bicycle for all seasons. Kind of like motorcycles (what, another new thread? lol). My current rider is a pedal assist full suspension Haibike - a German bicycle. Active suspension (150mm travel) in the Horst Leitner/Specialized design. My wife has a couple of bikes also. I have opinions on ebikes! Lets see peoples bikes. And stories. Bring it on. We used the van to travel to Fort Collins for a cyclocross race last weekend. Seeing lots of nice vans these days at bicycle races. Well you're younger than me. Those bikes are waay up there! And a rather chilly race too. Got a race bike pic you'd like to share? Bicycles have been a huge part of my life as far as I could remember. I started racing bmx in the early 80’s and missed being idaho state champion in 17x by just over an inch. Lost to a good friend, so it was all good. When I ran out of sponcers I was forced to quit. I moved out of my parents house and across the state soon after. Right about the time mt bikes started becoming available to the public. I combined my background with bmx with the newer sport and started spending every available moment in the woods seeking out single track trails and making jumps and weird obstacles everywhere we went. Early on it was ride as fast as possible catching as much air as possible. Now being older I’m seeing things on trails I’ve never seen and enjoying riding in a whole new way. We take bicycles to certain places where motorbikes aren’t allowed... well we used to anyway. With my wife’s current condition she is no longer able to ride. We’re hoping that changes over the next couple of years. In the meantime I only have a few friends that still ride, so I dont get to ride near as much as I used too. It’s kinda depressing, but such as life. In the 70’s I had a junker schwinn stingray that got me to the frog ponds to search out all the critters and explore. In the 80’s I got into bmx. Had many different bikes but my favorite was a 79 schwinn sting. Redline pl20 forks, and flight cranks. Cinelli seat, gt bars, araya rims, etc. loved that bike. In the 90’s one of my early faves was a 16” fisher hoo kooekoo. Loved it cause I could throw it around like a bmx bike but it had gears. Moved on to a muddy fox but broke pretty much everything on it in 1 summer. Then bought a fat chance yo eddy equipped with xtr components and rode that for a long time until all my friends stopped riding. 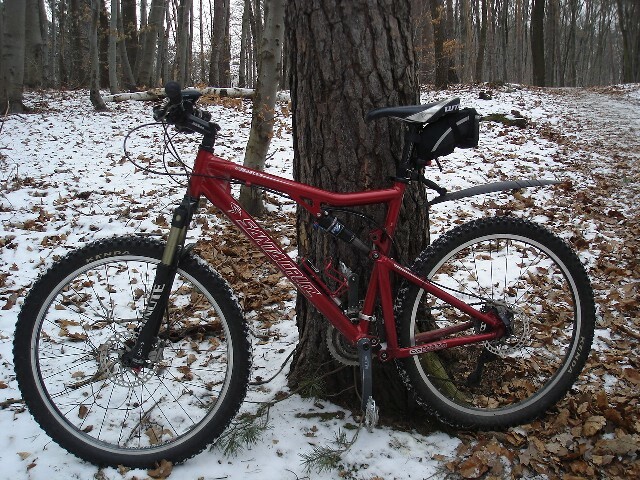 In the 00’s I hooked up with some new buddies and bought a 24” norco. Started riding again and resparked intrest from some old friends. Weekly rides started happening again and right about then another friend opened a bike/skate shop. He asked if I was ready to upgrade and I got in on a group buy for a eastern slash 7 fully suspended bike. Not an elite bike by any means, but it’s held together since around 07-08. Still ride it a few times a month with the 1 or 2 buddies that still ride. Will be watched this thread. Once the wife can ride again we will hopefully start riding together and I am totally in the air for what I want next. Super impressed with how light the fatbikes are and am intrigued by being able to ride on snow but don’t really know much about them. Not looking forward to reracking though. I’m pretty vested in our current setups, lol. Time will tell I suppose. Regardless, I look forward to what people are riding and why. 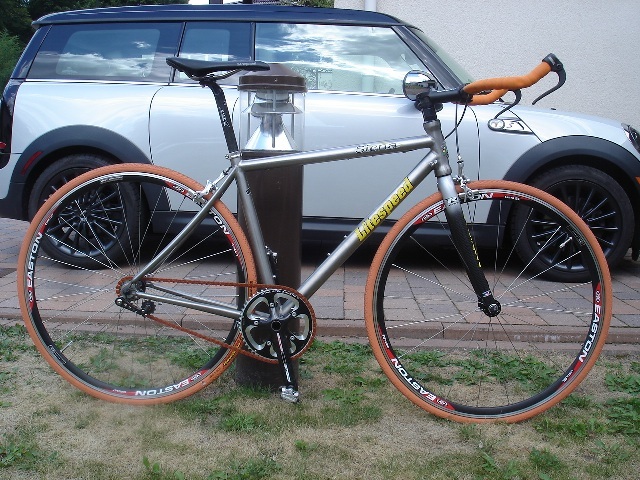 Here is my Masi steel retro cyclocross bike. With Ghisallo beechwood rims! Great story shenrie. I too rode a Schwinn Sting Ray. Avid mountain biker here. Primary interests are long backcountry rides and also do some Enduro racing in the old guy's class. Broke a lot of bones in a crash in April so bit of a down year but did do two races this summer, the Grand Targhee Enduro and the Flagstaff Enduro where I finished 2nd 50+ and 23rd overall. My wife and kids all bike so family vacations are mostly planned around trailheads. Where I can get away with it of course. I currently have two bikes, my Specialized Sirrus Expert was stolen last summer in KS on my way home. My wife is down to one bike. My Santa Cruz Blur LT is getting a little long in the tooth. Still a good bike, but needs brakes and I don't want to put more money into it. I do have two roof top Thule bike carriers as well, but don't really have a great place to carry them on the van. I'm getting older and my knees are starting to bother me, plus I don't always want to tow my motorcycle, so I think an electric bike of some sort makes a good form of transportation/entertainment while stopped somewhere in the van. I am planning on getting an electric bike, likely a pedal assist, probably not more than 500w, although I'd also like a throttle if possible. Curious if any in the van crowd are fans of folders. They just seem such a good fit when it comes to looking for bikes that don't take up much space (or weight!). I bought a Brompton for when I commuted to Baltimore, and it stored nicely behind a seat. I left the car in the parking lot and biked to a hotel. The Brompton is perfect for city riding (and taking it with you so it don't get stolen). They're probably OK for any paved road riding. I've read of people biking them to work for 20-30mi. In my earlier days in NYC when I was a bit ignorant about how compact bikes can get, I bought a DownTube FS which has larger than Bromton wheels, and is acceptable for biking on rougher terrain. I have taken it on C&O trail (fairly flat) and it pulled a trailer nicely.. I planned to camp with that setup, but never got around to that. Pictures are representations.. Mine are dusty. Years in the bike biz with interest beginning long before that and lasting after. Riding only occasionally now but still have my (oldies) fleet and my tools, and the new-to-us Dodge B350 highroof is being built with bike/motohauler capability in mind. I was very into mtn biking when it came onto the scene in the early 80's. Shown here is my Ritchey Commando that Tom built for me in 1984. I added a titanium Salsa El Mariachi a few years ago. I'm not riding mtns now as much as road riding. Shown are my two main road bikes, a Colnago carbon and a Moots titanium. And a pic of my retired S-Works Specialized Tarmac racer that was too fast for me at my age!